Many would expect Stone’s first foray into 9/11 territory to be something as controversial (aka slanderous) as say, an adaptation of Loose Change. Instead, we were met with a harrowing and touching story of two police officers (Nicolas Cage and Michael Pena) fighting for survival in the rubble which was the World Trade Centre, Stone proving that he does indeed have a heart. 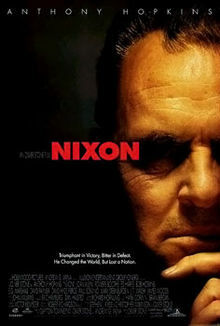 Stone’s biopic based on the life of despised Republican President Richard M. Nixon was a surprisingly sentimental affair, and featured a brilliant turn by Anthony Hopkins who didn’t merely impersonate Nixon, but became the controversial figure. No stone (pardon the pun) was unturned, as Nixon’s childhood through to Watergate was explored and given cinematic life, as only Stone could do it. 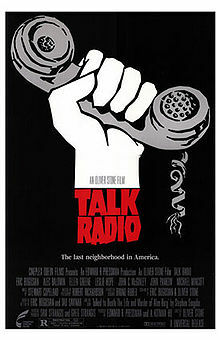 A little scene gem in Stone’s filmography, Talk Radio chronicled the last days of a controversial shock jock (Eric Bogosian, based on his play) as he contends with a shattered romance and numerous death threats. For an example of tragic hilarity, check out Michel Wincott’s thrash metal junkie. Priceless. 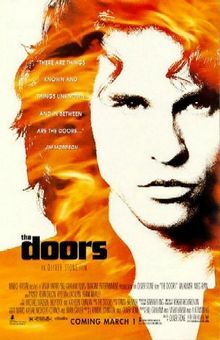 Less a true account and more an exploration into the mythos of Jim Morrison, The Doors featured a chameleon-like performance from Val Kilmer as the famed “Lizard King”, that even the legendary rocker’s own band-mates couldn’t differentiate between the two. 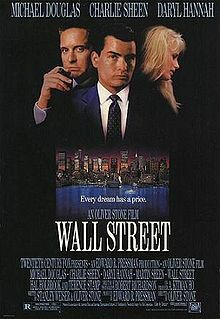 The most straight forward of Stone’s morality plays, Wall Street starred a suitably oily Michael Douglas as the villainous Gordon Gekko, who lures Charlie Sheen’s naive Bud Fox to the dark side with his “greed is good” spiel, only to culminate in an ending of such tragic proportions that would make Shakespeare weep. 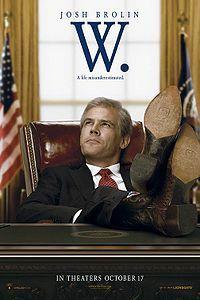 A classic was born and so to was a poster boy for young capitalists everywhere in Gekko. 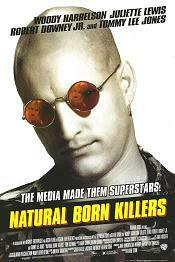 Amongst Stone’s many controversial films, Natural Born Killers is a highlight. It is also a stinging condemnation of the unholy marriage between violence and entertainment, in its depiction of serial killers lovebirds Mickey (Woody Harrelson) and Mallory (Juliette Lewis), and their reign of terror across America. Visually, Stone throws everything onto the screen and not only manages to make it stick, but also draws career defining performances from its exceptional cast. 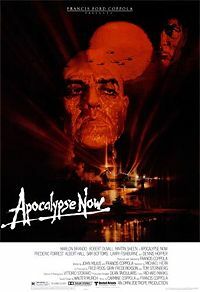 The first of his “Vietnam Trilgoy” (followed by Born on the Fourth of July and Heaven & Earth), Stone took his own experiences in the unpopular war and crafted them into a haunting morality tale, which saw Charlie Sheen’s new recruit stuck in the middle of a bloody feud between Sergeant’s Elias (Willem Dafoe) and Barnes (Tom Berenger). 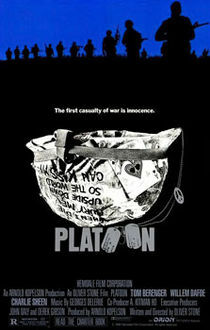 Although released 11 years after the Fall of Saigon, Platoon still packed a punch in its emotional and political relevancy, and would mark Stone’s first Oscar triumph, winning best director and best picture. 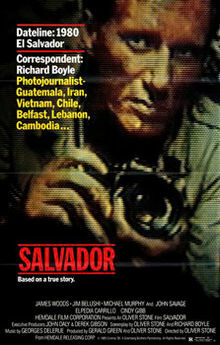 Released the same year as Platoon, this little seen yet much celebrated account into the life of a freelance photographer (James Woods) navigating the madness which was the Salvador civil war, still packs a powerful punch over 20 years later. Woods has never been better as a weasel trying to find sense and salvation, while Stone made his mark as an important filmmaker with Salvador his first true breakthrough film. You would be hard pressed to find a filmmaker who has directed as many iconic performances as Oliver Stone. 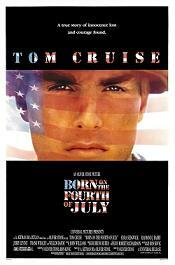 Case in point is Tom Cruise in Born on the Fourth of July, the Box Office Prince shedding image and ego to play Vietnam veteran Ron Kovic, from eager recruit to disenfranchised disabled war hero. 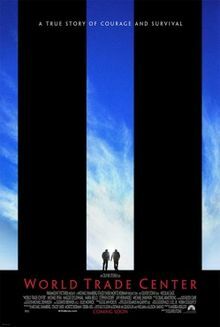 Cruise’s performance, coupled with Stone’s masterful filmmaking gives justice to Kovic’s story and remains a film unlike any other. One doesn’t have to be a slave to conspiracy theories to appreciate the mastery which is JFK. 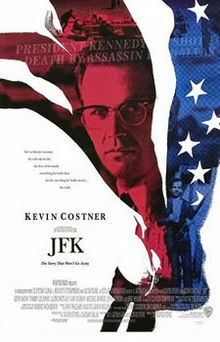 Based on the bestselling book by former New Orleans DA Jim Garrison (the only man to lay charges in regards to the assassination of John F. Kennedy), Stone took a shinning to Garrison’s tapestry of conspiracy which implicated everyone from Castro, to the Mafia, to the CIA for Kennedy’s murder, and did so with a fiery passion felt in every frame. An ensemble cast rise to the challenge of playing these now iconic real life figures, with Gary Oldman’s Lee Harvey Oswald a standout. Many detractors have pointed to the films’ authenticity as shaky at best, yet as a film it is a masterpiece of performance, cinematography, and editing which Stone will never better.